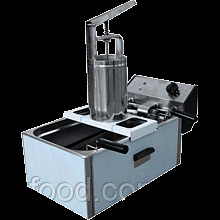 For a deep fryer: KIY-V FR-11. Productivity: to 350 pieces/hour. Manual. Weight of one donut: 25gr. 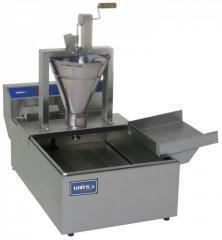 Capacity volume for the test: 3 l. Weight: 3 kg. ekhnichesky characteristics the Article of KIY-V DP-11 the Country the producer Ukraine the Guarantee of 12 months the Producer of KIY-V Tension, In Is not present Power, there is no kW Type of the device Batcher Productivity, piece/hour to 350 Weight of one donut, gr. 25 Volume of capacity for the test, l 3 Sizes of a bathtub, (for sh / in), mm there is no Feature there is no Complete set there are no Sizes, (for sh / in), mm. 360х200х440 Weight, kg 3 Details the Batcher for donuts ― the FP model, are issued for deep fryers with a working volume of oil of 5, 8 and 11 l. The batcher takes not enough place, it can be prepared for work quickly. Fast preparation for work. Preparation for operation of the batcher takes no more than 5 sec. Ease in work. 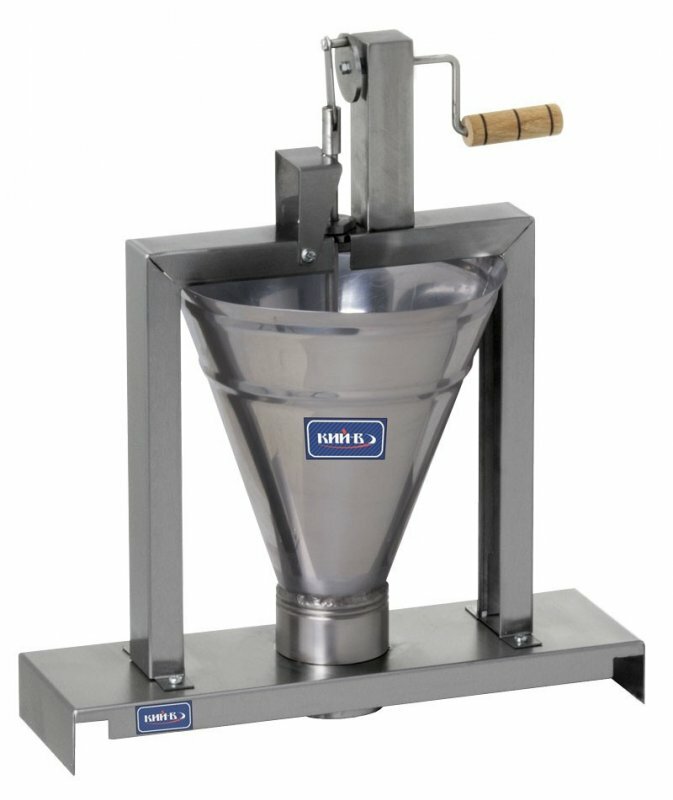 Konstruktsiiya of the manual batcher provides easy rotation of the mechanism of formation of a donut. Simplicity in service. 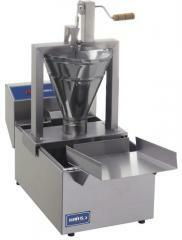 The batcher for donuts easily is removed for sanitary processing. Recipe of the test: 25gr. fresh yeast; 1 glass of water; 2 glasses of flour; 5 tablespoons of sunflower oil; 1 tablespoon of sugar; vanillin to taste. Opara: We crumble yeast, we pound with sugar when become liquid, we part in a floor a glass of warm water. We mix with one glass of flour. We pour out remained half a glass, we mix and we cover with a towel. We put on a warm water bath. In 10 min. domeshivay in a support still a glass of flour. We add sunflower oil, we disturb and we put in heat. The consistence has to turn out approximately such, as shown in video. 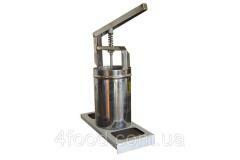 Unbelievable price on The batcher for preparation of donuts of KIY-V DP-11 in Kiev (Ukraine) company PROMFOOD, LTD.